?2015 – present Full Professor, Department of Civil Engineering, Faculty of Engineering, Ariel University, Ariel, Israel. 2011 – 2014 Head, Department of Civil Engineering, Faculty of Engineering, Ariel University, Ariel, Israel. 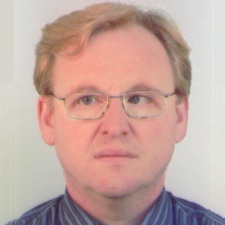 2010 – 2015 Associate Professor, Department of Civil Engineering, Faculty of Engineering, Ariel University, Ariel, Israel. 2005 – 2010 Senior Lecturer, Department of Civil Engineering, Faculty of Engineering, Ariel University, Ariel, Israel. 2005 – 2008 Adjunct Senior Lecturer, Department of Civil Engineering, Faculty of Engineering, Ben Gurion University of Negev, Beer Sheva, Israel. 2000 – 2005 Lecturer, Department of Civil Engineering, Faculty of Engineering, Ariel University, Ariel, Israel. 1995 - 2000 Instructor, Structural Engineering Division, Faculty of Civil Engineering, Technion - Israel Institute of Technology, Haifa, Israel. 1992 - 1994 Deputy Chairman, Building Department, United Municipal Structures, Rivne, Ukraine. 1991 - 1992 Engineer - Researcher, Building Materials Division, Faculty of Civil Engineering, Ukrainian Institute of Water Management Engineering, Rivne, Ukraine. 1990–1991 Senior laboratory assistant, Division of Geomechanics and Foundations, Faculty of Civil Engineering, Ukrainian Institute of Water Management Engineering, Rivne, Ukraine.